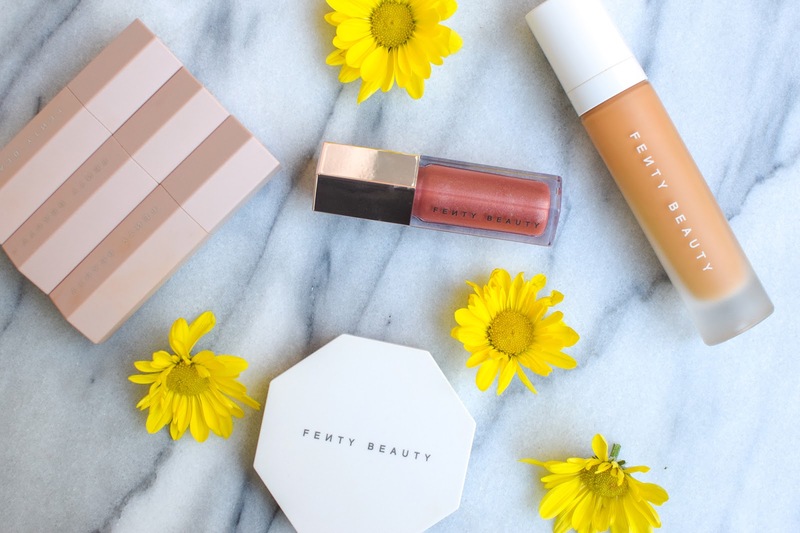 I use at least one Fenty Beauty product every time I do my makeup. 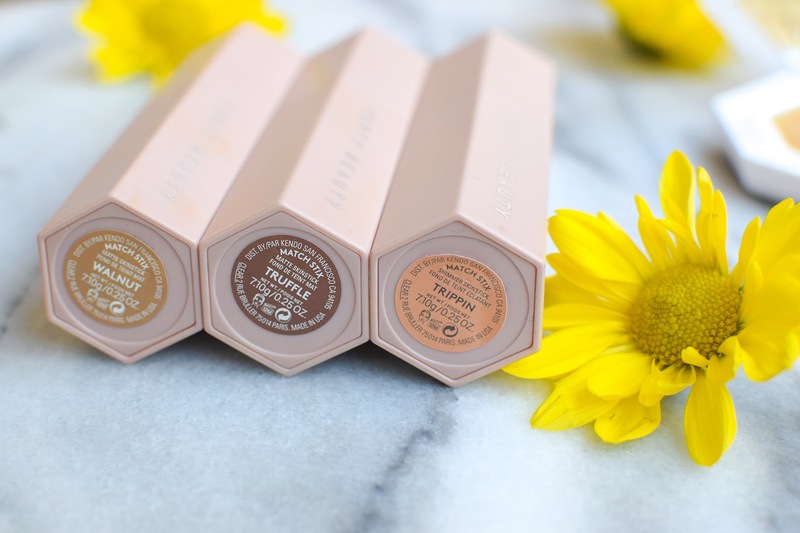 These products have definitely become a staple in my collection and makeup routine. They are super simple to use, and look very natural! My favorite product is the foundation. This foundation is a beautiful color match (I'm shade 330), and the finish is amazing. When I get oily throughout the day, I don't mind as much because this foundation makes my oily skin look more dewy. The Priming Moisturizer from Glossier works so well under this foundation which is amazing because that's what I already use on the daily! My next favorite product is the gloss bomb. I wear this probably 3 days out of the week because it's just so easy to pop on my lips and go. It was a lovely finish, and doesn't feel sticky on my lips. It also leaves my lips feeling hydrated and lasts for a decent amount of time. I love it! Another product I use nearly every time I apply makeup is the Match Stix in Truffle. 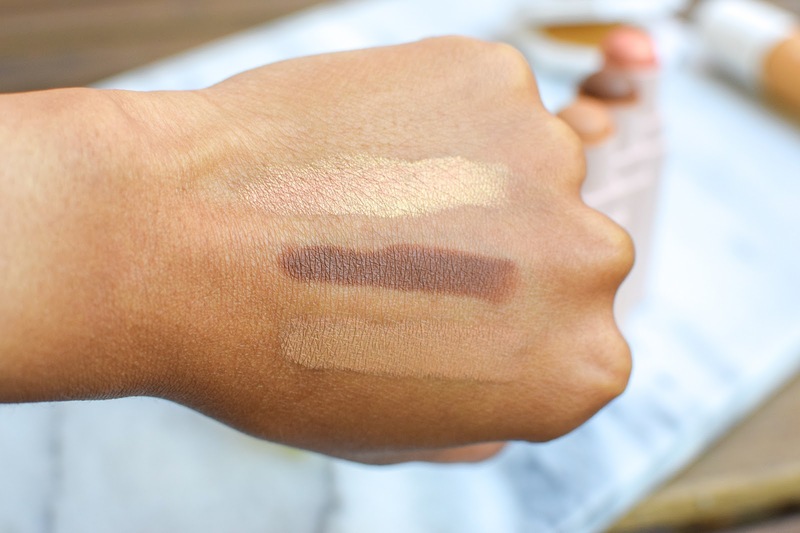 This is a gorgeous natural contour and it's super easy to swipe on. 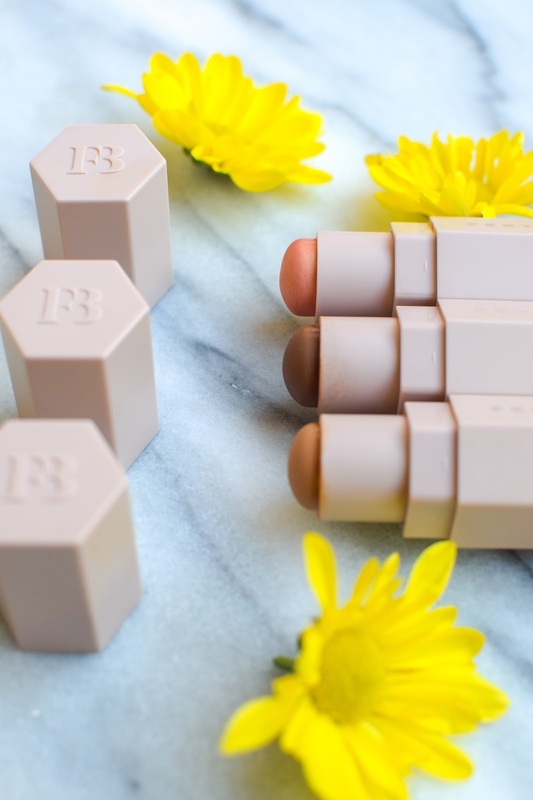 My favorite way of applying this product is to use the technique that Alissa Ashley demoed in her Fenty Beauty video. It's ingenious! If you're having trouble with this product, definitely check out her tips on how to use it. The Match Stix in Walnut is nice to use because it doesn't crease that much on me since it's a drier product. I've got naturally creased under eyes and even when I set my makeup, concealer always creases and separates on me. I put on the smallest amount I possibly can of this concealer and blend it upwards to minimize creasing, and don't even bother to set it. This is definitely a product that's nice to have, but I could also live without it. 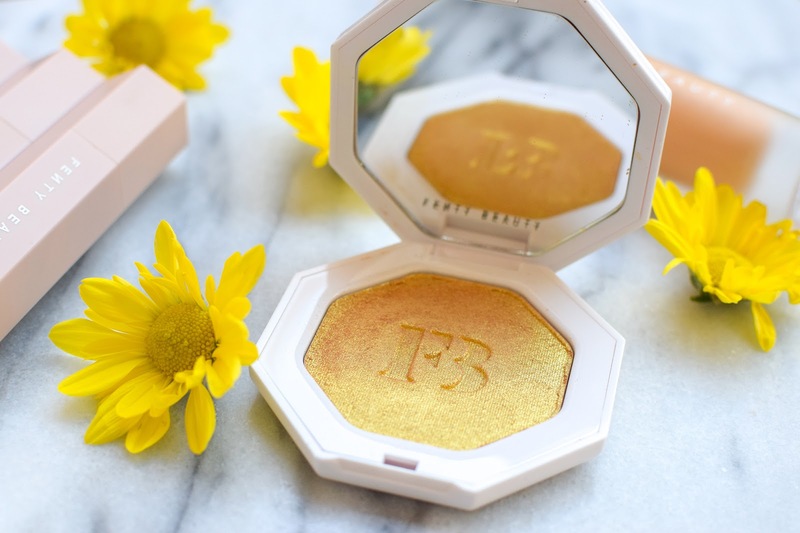 Finally, the Killawatt Highlighter in Trophy Wife. I love this stuff. When I first bought it, I was wearing it every day. It layers really nicely over my other highlighters and provides a little extra "oomph" to my look. 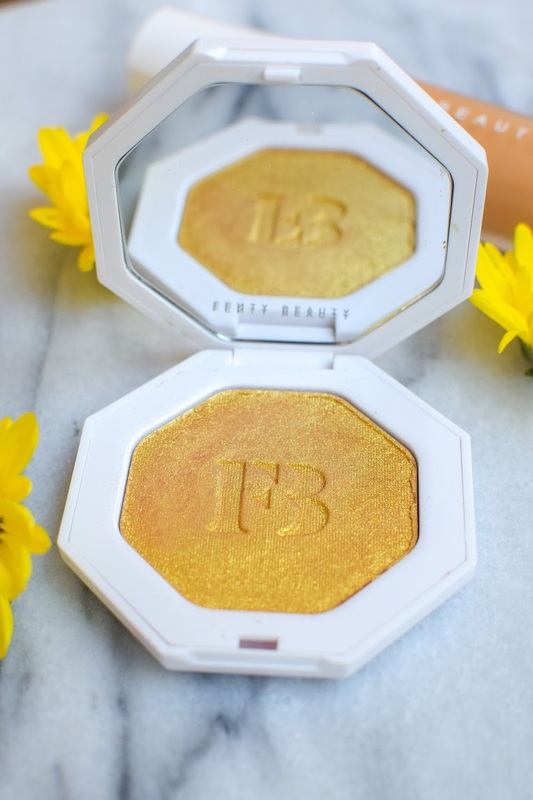 I think this highlighter can work on most skin tones as long as a light hand is used! Next, I'm going to try this out on my collar bone so I can glow all over - ha! 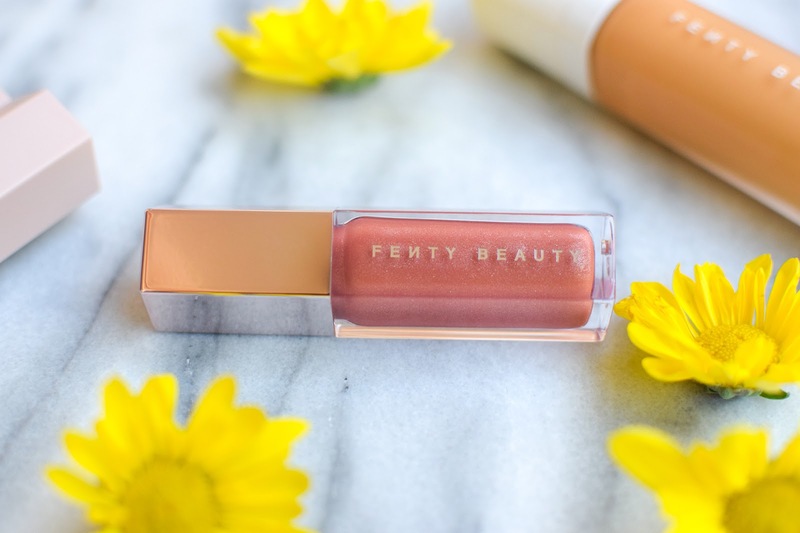 If you have yet to purchase the debut collection from Fenty Beauty, I would give it a shot. As I mentioned, the foundation has quickly become my favorite foundation out of all the ones I own, and the products aren't heavy. They are made to be worn everyday, and you can always build them up if you want a little extra coverage on a night out. They just released the Galaxy Holiday Collection, and I'm excited to see what else they have in store!